When Southern Wesleyan University President Todd Voss learned of the shortage of clean drinking water in Columbia, he immediately contacted Mike LeFever in SCICU’s Columbia office to see how the SWU community could help. 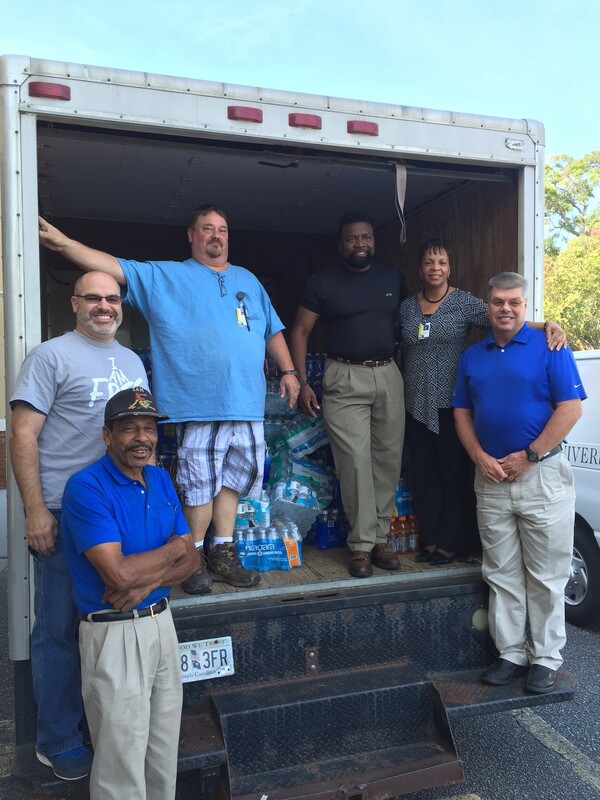 When Mike surveyed the 4 SCICU schools in the Columbia, Dr. Lady June Cole, president of Allen University, said her campus was in need of bottled water. AU’s campus of 650 students is located in downtown Columbia just blocks from the SCICU office. Two days after Dr. Voss offered his assistance, two SWU trucks filled with bottled water pulled up to the Allen University Student Development Center and Dining Commons. In a matter of hours, the SWU and greater Central communities collected 500 cases of water-more than 11,000 bottles–for their sister institution. 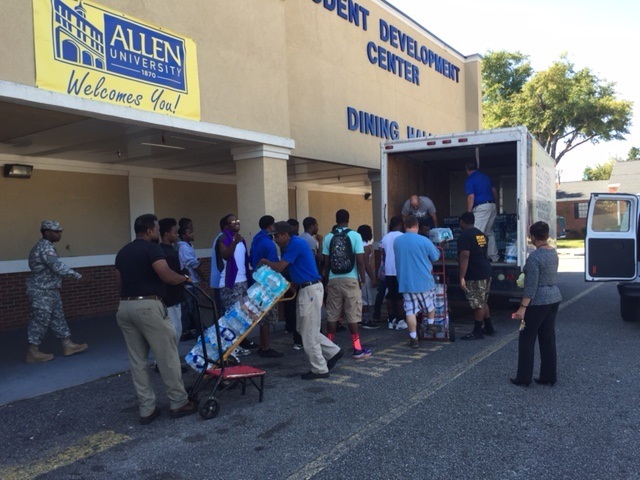 In addition to donations from SWU students, faculty and staff, significant contributions were made by Baptist Easley Hospital, Greenville Health System / Palmetto Health, Walmart of Central, and churches and community organizations from as far away as Spartanburg. Ms. Geraldine Livingston, executive assistant to President Cole, and a team of Allen students and staff met the trucks when they arrived on campus Thursday morning (October 8, 2015). With the weekend approaching and no end in sight for Columbia’s water supply problems, SWU’s timely donation is very much appreciated by all those living in Allen’s residence halls.